Our mission: Leading the fight against cancer. 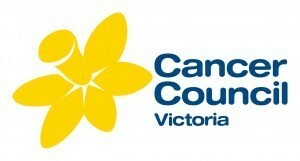 Cancer Council Victoria's core business is cancer control. We conduct and support research, as well as delivering statewide support and prevention programs and advocacy to reduce the physical and emotional burden of cancer. Our leaders are of international standing and we are significantly and positively influencing the cancer agenda in Victoria and beyond. We are a non-profit organisation and rely on the generous support of donors and volunteers. The Cancer Council has the following projects in progress for which we are seeking further funding: * Biological and clinical research in hospitals, universities and research institutes * Behavioural, epidemiological, clinical and policy research * State-wide cancer prevention and early detection campaigns * Information and support services for people facing cancer and their families and friends.